Taking control of your temper to progress to seeing your child. Many children fail to have the good relationship they deserve with a parent because at or leading up to separation that parent has let him or herself down with a bad temper. There is a way to address this issue that offers hope of getting that relationship your child needs. The law wants children to have a good relationship with both parents, with a presumption to this effect being enshrined in the Children Act 1989 over the past year. Unfortunately, the law cannot support families at all times and the presumption of a good relationship can be overcome if at the time the Court considers making a child arrangements order past conduct by a parent suggest the childs` welfare will be at risk if allowed contact. Since the financial crash in 2008 many changes in the ability of the Courts to examine these issues have taken place. Michael Brennan, an accredited family law specialist at Northwich firm Stonehewer Moss, found that services available to address the issue of domestic violence have become difficult to identify on many occasions. Seeking advice from a specialist solicitor can be the difference to getting your child back in touch after a period of broken contact. Many solicitors now offer fixed fee packages to meet most budgets. 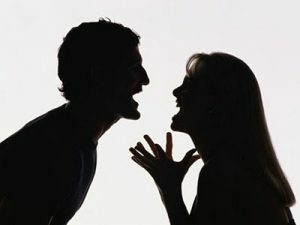 Having acknowledged the importance of a child keeping a good relationship with his or her parent, it is essential that parents take responsibility for developing techniques to control a bad temper. Going through separation must kick in all our basic fight or flight instincts. Mild mannered individuals can turn nasty when life becomes stressful; we are best accepting it and addressing the cause. There are family therapists expertly trained to help, some of which may be accessed through your GP. The Court would much rather a parent who recognises the problem and deals with it to one with a patent problem ( experienced family lawyers and judges can tell) who denies past fault. Anger Management Courses run for five weekly sessions and each session lasts for two hours. There is a re-connector meeting after a further four weeks, providing a chance to report on progress or discuss any queries participants may have. We do require a referral from your GP for the Anger Management programme. If you wish to take part in the programme, please contact your local surgery in order that your doctor may refer you. A parent looking after a distressed child because an absent parent is considered a risk and cannot see the child may want to encourage the other parent to address their problem in order to benefit their child. Family solicitors can help the parent with care by writing to make those encouraging signals and help to ensure your child has a chance of a good relationship with both parents. This article was added on Tuesday, December 8th, 2015 at 11:13 am and is categorised under Cheshire News, Chester News, Child arrangements, cohabitation disputes, Divorce, Family Law, Macclesfield News, Runcorn News, Warrington News, Winsford News. Both comments and pings are currently closed. Error: Error validating access token: Session has expired on Saturday, 09-Mar-19 13:12:58 PST. The current time is Wednesday, 24-Apr-19 20:05:21 PDT.